When you ask her to marry you, present her with a Simulated Diamond Solitaire Ring in Sterling Silver. Formed in brilliant sterling silver, this exemplary configuration showcases a sparkling 9 mm x 7 mm oval cut simulated diamond solitaire in a half-bezel setting. 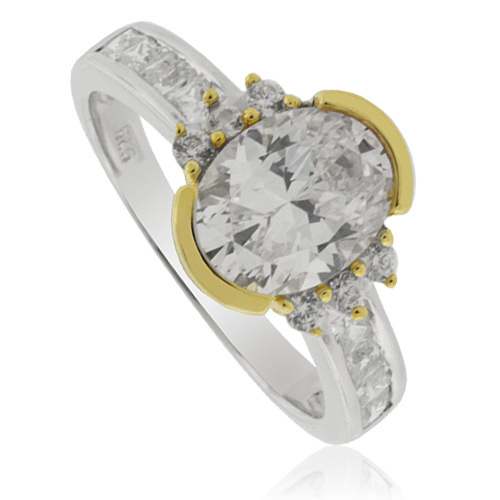 Polished to sparkle, this ring is a wonderful way of starting a lifetime of affection and sentiment.